Deal: Sony's premium WI-1000X neckbuds are $100 off, save 33%! Sony's reputation as a maker of high-quality products can't be disputed, especially when it comes to TVs and headphones. Of course, there's the matter of the price and Sony doesn't sell its merchandise cheap, so it's always good news when the company's products go on sale. If you're looking for an excellent pair of around-the-neck wireless earphones and you have money to spend, then the latest deal for the Sony WI-1000X might be just for you. These neck buds typically retail for a whopping $298, but you can currently grab a pair from B&H for $198 - a discount of $100 or more than 33%. That's still a considerable price for a pair of neckbuds, but the WI-1000X justify that by packing a ton of nifty features. First off, the audio quality is great thanks to the DSEE HX, S-Master HX, LDAC and apt HD technologies. 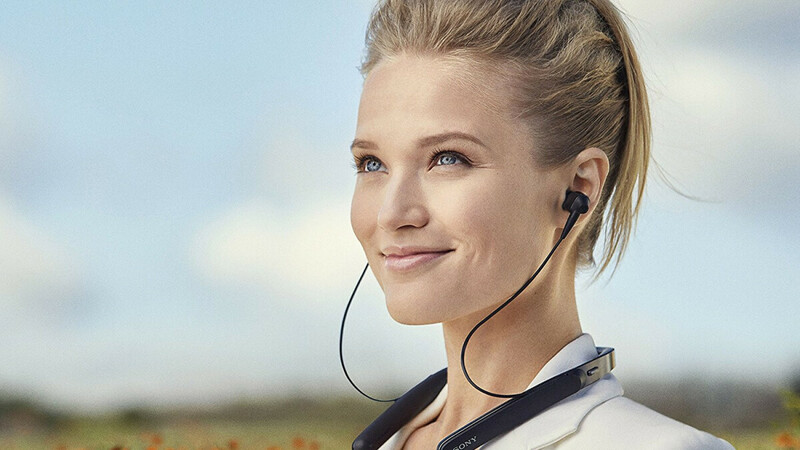 You have digital noise cancellation with atmospheric pressure optimizing which makes them perfect for flying. The Smart listening feature automatically adjusts the ambient sound to your activity. The ambient sound mode enables you to hear essential sounds without taking your headphones off. Last but not least, the battery life lasts up to 10 hours with noise-cancellation activated. You can also use the free app on Android and iOS to control all these settings. If this offer interests you, feel free to follow the above link to B&H. These headphones are available in black and gold and are also discounted on Amazon, but B&H offers free shipping if you don't happen to be a Prime member.